One of the things we’ve been doing, (well, Alex has been doing more so than I… but shh!) is filming a bunch of awesome takraw whenever we can and then uploading these videos to our YouTube channel. We’ve filmed videos from Takraw Thailand League, Prince Cup, King’s Cup, and most recently: the first Women’s Takraw Thailand League. How many women have you seen roll spike before? None? Only a couple? How about three at one event! As we’ve said before, high level takraw is pretty much everywhere in Thailand – you just have to know where to look. So when we go looking for it, and find it, we’re really stoked to be able to film the sport that we love and then have thousands of people watch it! This helps us remember that maybe we’re not so crazy being passionate about this sport, either that, or it means we’re all crazy. Either way, there’s like minded people all around the world and that’s all that matters! I posted about our first month of YouTube back in May, and said much the same as what I’m saying now. 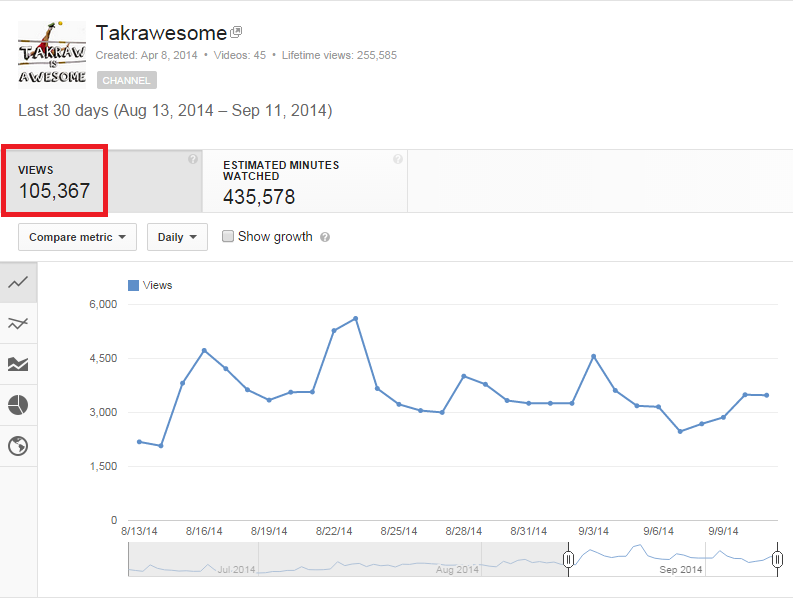 The difference was, back then we were really happy to have 12,000+ views in our first month. This past month we’ve had over 100,000 views! In case you missed a couple of videos, we’ve created a few playlists on YouTube of each of the major events we attended that you can then check out. There are full matches, as well as some highlight videos.